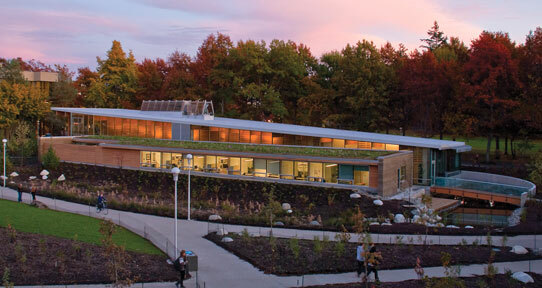 The First Peoples House (FPH) is a social, cultural and academic centre for Indigenous students at UVic and serves as a safe and welcoming place that encourages the building of community. We encourage you to come in and be part of creating a supportive space for Indigenous students on campus. We ask that all those who enter the First Peoples House do so with respect for the ancestors, the original care takers of this land, and for each other. The First Peoples House is a home-away-from-home for Indigenous students and provides a safe space for learning, sharing and community building. Acknowledging the teachings from these territories, one must enter the House with a good mind and good heart. Although it displays art, the First Peoples House is not a museum. Many Indigenous students go there to study or seek solace and do not wish to be disturbed. Visitors are always welcome, but please walk quietly and with respect. Book a tour or learn more about the building.